With immunization against major childhood diseases widely available, parental concerns in the nineties are focused on safety issues. A handbook and working reference for parents of children from birth through high school. Using positive guidelines rather than a list of do's and don'ts, the book will help you provide your child with a sense of security and the ability to act and react in challenging situations. Topics covered include school, street, transportation, recreation and medical safety, spending time at home alone, sexual abuse and more. Parents and children will learn how to handle the hazards of today's complex world. 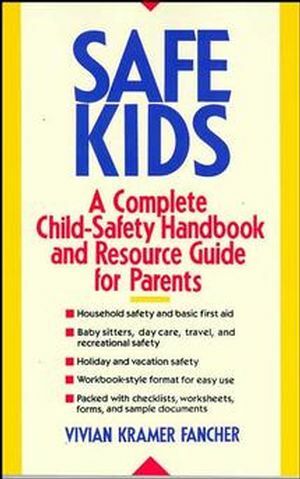 Vivian Kramer Fancher is the author of Safe Kids: A Complete Child-Safety Handbook and Resource Guide for Parents, published by Wiley. Odds 'N Ends (A Safety Potpourri).